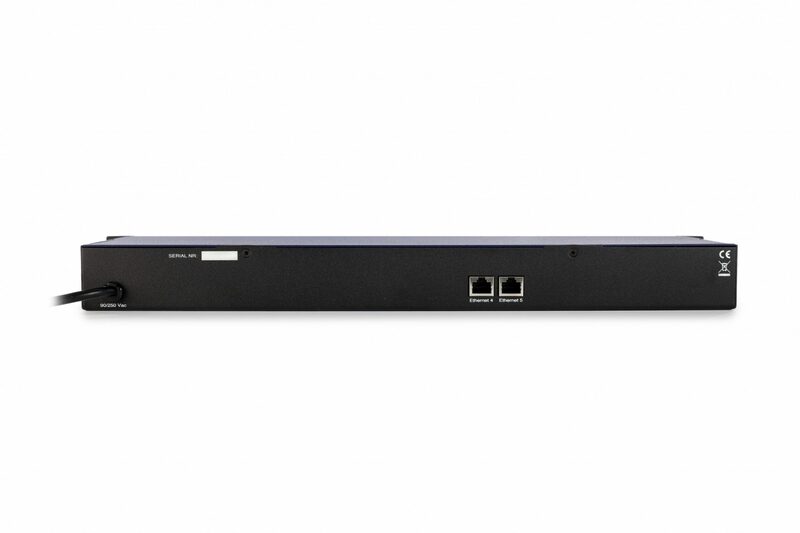 The dmXLAN node6x is a versatile and powerful addition to any lighting network as it combines a 6-port DMX to Ethernet node with a 5-port Ethernet switch in a single 1U high unit. Now available with optional PoE on the 3 front-panel Ethernet ports! 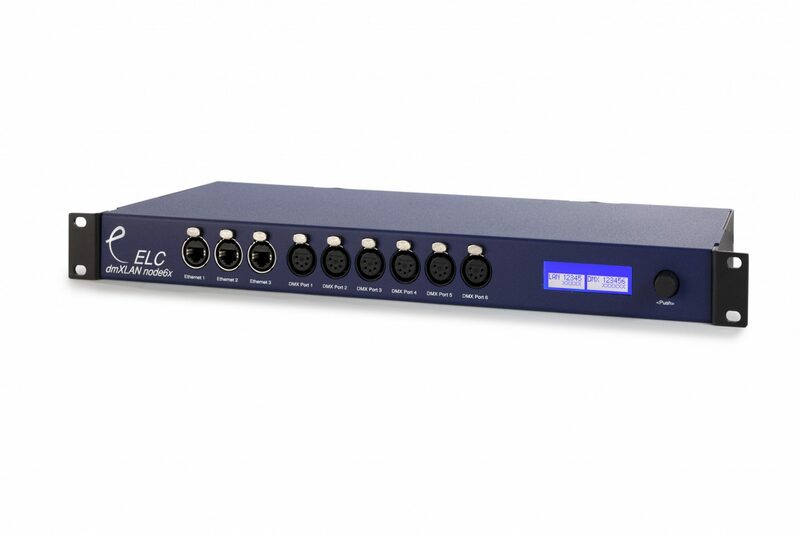 This fully programmable node can be controlled via the LCD menu display and encoder switch on the front panel, or through the free ELC dmXLAN software. The dmXLAN Node 6X has no fans and is therefore silent in operation. The DLN6X has regular DMX ports and the DLN6X-FI has fully-isolated DMX ports. Both versions may be ordered with optional Power over Ethernet for the three Ethernet sockets on the front panel.